It’s the 11th of November, and I don’t know about you, but I took the traditional two minutes of silent reflection this morning at 11:00 am, local time. According to the century-old origin of this ritual silence, the first minute honors the 20 million people slaughtered in what was known then as “The Great War.” The second minute honors the suffering of the vastly greater number who were injured, lost loved ones, or whose communities were destroyed. Since then, of course, we have shifted our lexicon to identify that conflict as World War One. But when Armistice Day was first established, there was a widespread recognition that the carnage of The Great War was simply too unbearable to ever be repeated. Oh, for that lost wisdom and perspective! This past summer, I savored Ken Follett’s rich historical novel, Fall of Giants, the first of a trilogy documenting the history of the 20th Century. Fall of Giants gave me a far better and more vivid understanding of The Great War than anything I learned in school. Follett’s meticulous research and vibrant storytelling helped illuminate how Russian, German, and Allied forces struggled to assert their power and try to gain ground as the war dragged on and on. For much of the war, there were virtual stalemates on several fronts, and millions of lives were sacrificed to the lust for power, national prestige, and wealth. I highly recommend this trilogy. But the war proved not to be the “War to End All Wars.” After the armistice was signed — on the 11th hour of the 11th day of the 11th month of 1918 — the very human but destructive impulses for revenge, nationalism, and power did not disappear. Instead, they led to a set of conditions that undermined the brand-new League of Nations (which the USA unfortunately refused to officially join) and left Germany destitute and susceptible to emerging fascist leaders. As a Quaker, a practitioner of Aikido, and peacemaker at heart, I’m fully aware that the United States rebranded Armistice Day as Veteran’s Day in 1954, after World War Two and the Korean War. 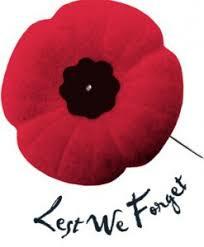 (Canada and the UK use the term Remembrance Day, which is certainly closer to its original purpose.) 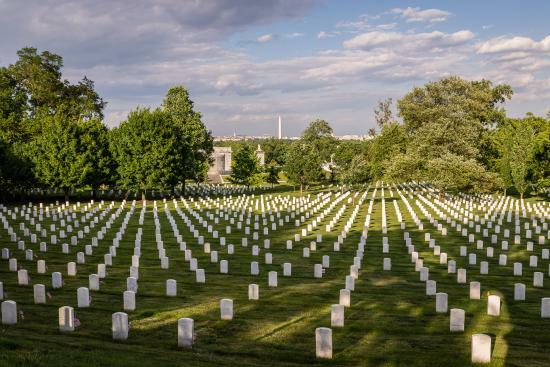 After Western society proved unable to live up to the noble idea of making The Great War the “War to End All Wars,” Americans defaulted to honoring those who fought, regardless of the war. But the meaning changed: Armistice Day celebrates the stilling of weapons, the cessation of conflict. In contrast, Veterans Day simply honors fighters. I too honor those who went to war. But I resolutely stick with the original name, set in 1918 and made law by the US Congress in 1926, when Congress passed a resolution stating that the “recurring anniversary of [November 11, 1918] should be commemorated with thanksgiving and prayer and exercises designed to perpetuate peace through good will and mutual understanding between nations.” Now there is an act of Congress I can fully support! Did they beat the drum slowly? Did they sound the pipes lowly? Did the rifles fire o’er ye as they lowered you down? Did the bugles sing ‘The Last Post’ in chorus? Did the pipes play ‘The Flowers o’ the Forest’? Did you leave a wife or a sweetheart behind? To that loyal heart are you ever 19? There’s no gas, no barbed wire, no guns firing now. And a whole generation that was butchered and damned. Did all those who lie here know just why they died? Did you really believe them that this war would end wars? Did they beat the drum slowly? Did they sound the pipe lowly? 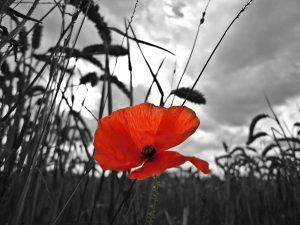 May we live to overcome the forces that drive humans to violence, and fulfill the vision of that first Armistice Day – the end to all wars. We always take one minute of silence to honor our local heroes on that day. Some schools also go to the graveyard of heroes to pray or spread flowers. Proudly we call our warriors who struggled for our nation’s independence heroes.